I bought no more than a dozen secondhand books this year. I’m pretty sure of that. Let me see—a few westerns, thrillers and spy fiction, Lee Child, P.G. Wodehouse, Agatha Christie, Erle Stanley Gardner, Enid Blyton, Kurt Vonnegut. Yes, that’s about it, though I haven’t read any of the books yet. I seldom buy new fiction. I also ordered nonfiction from Amazon, as part of the annual office book allowance I’m entitled to. They’re all there in the picture on the left. 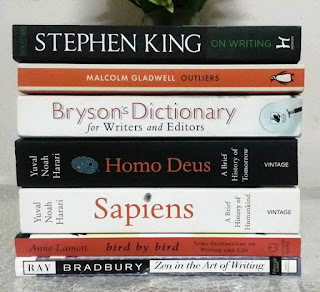 I haven’t read any of those either, though I have been leafing through the books on writing. I usually don’t read guide books from cover to cover. Separately, I also picked up Khushwant Singh’s autobiography Truth, Love & A Little Malice (2002). Singh was a well-known and an outspoken diplomat, journalist, parliamentarian, columnist, and author of scores of books. He was one of India’s most engaging storytellers, and also its most controversial. He had an easy and lucid style. The publication of the politically-sensitive book was held up for five years due to a court case. I also added a handful of comic-books to my collection. These included two graphic adaptations from the popular Warrior Cats multi-series by Erin Hunter, a combined pseudonym of a group of children’s book writers. Besides, I downloaded comics from Amazon under its ‘free comic book day’ attraction. I mostly read these on my tab during office commute. 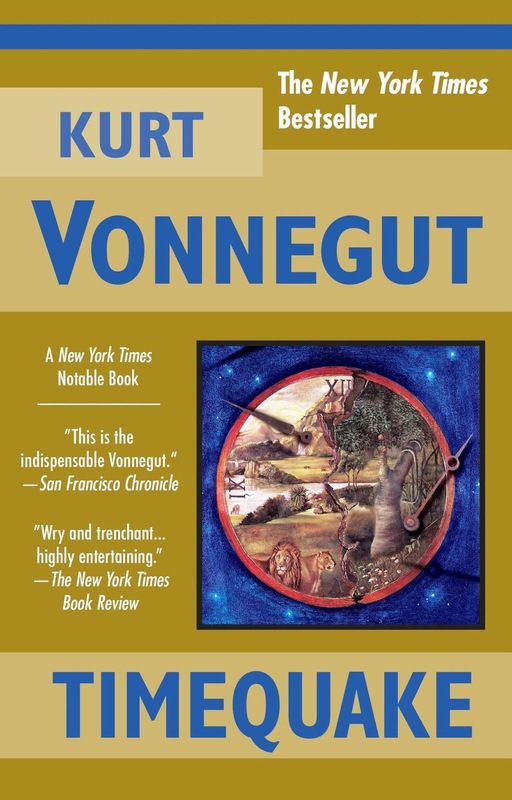 From among fiction, I intend to read Kurt Vonnegut’s Timequake first. It’s not exactly a novel; rather it’s a semi-autobiographical work marketed as a novel. The author, himself, has described the book as a “stew” and his “last novel”. The following blurbs will tell you more about the book. The late Kurt Vonnegut is one of my favourite writers mainly because I enjoy his writing to the extent that I'm tempted to imitate his style. He kept it short, almost staccato, and simple. He managed to say a lot without saying much, a tribute to his ability to write with brevity and minimum fuss. He also had a wry sense of humour. I like your selection. The Vonnegut one especially and also the Khushwant Singh one. Thanks for the updates. Mystica, I'm also looking forward to reading Khushwant Singh's autobiography because he had a wonderful storytelling style. I followed his popular newspaper column "With Malice Towards One and All" for many years. 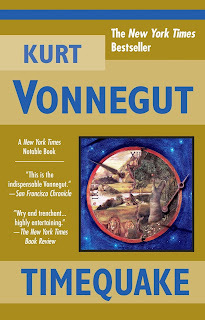 Kilgore Trout wasn't solely Vonnegut's alter ego...it was also his exaggerated portrait of a writer who work he admired enormously, with good reason, and whose life choices he deplored, with just about as much good reason, Theodore Sturgeon. (You'l note the similarity of the names.) Sturgeon particularly was selling a lot of short stories to skin magazines as well as to other markets in the '60s, when Vonnegut introduced the character. Sturgeon was also able to place a science fiction story in SPORTS ILLUSTRATED in 1963, not a common occurrence. Vonnegut wrote the introduction to one of the volumes of Sturgeon's collected stories. Ray Bradbury was Sturgeon's most assiduous student, and wrote almost as well, sometimes. Thanks for that bit of info, Todd. I was confused about Kilgore Trout's identity when I read VENUS ON THE HALF SHELL a few years ago. Back then, I remember you wrote saying that he was a fictional character created by Vonnegut and that he was used as the fictitious author of the book actually written by Philip José Farmer. This would be only the second time I'd be reading (about) Kilgore Trout. A nice set of books you bought this year. Timequake sounds good, thanks for the information on that. You're welcome, Tracy. 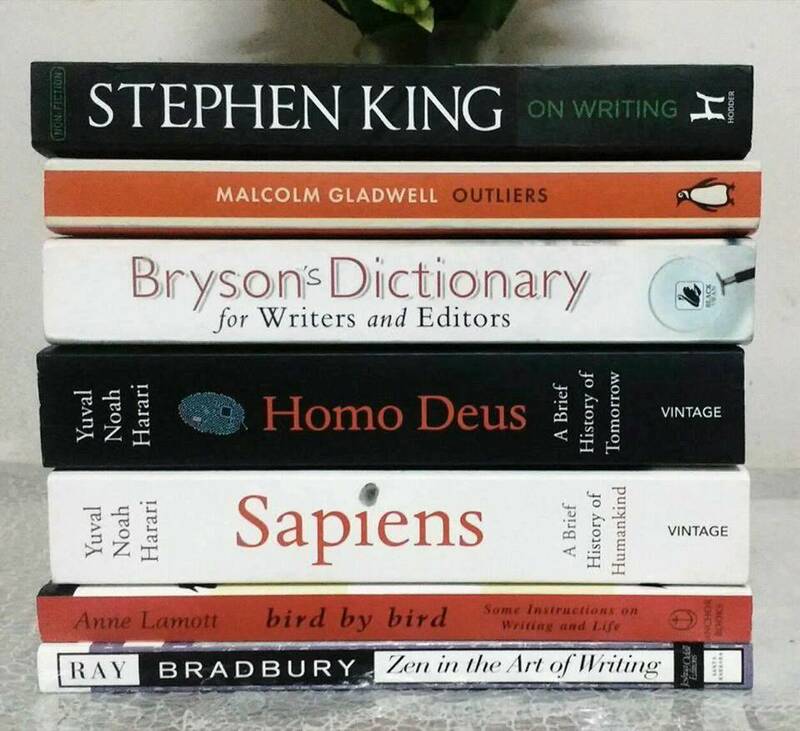 I need to read some of the nonfiction, too, before ordering more books as part of the current year's book quota. You've got a fine variety of books here, Prashant. I like it that you got both fiction and non-fiction, too, and on a range of topics. I hope you'll enjoy! Margot, one my problems is reading both fiction and nonfiction which doesn't do my reading numbers any good. I want to read them all! 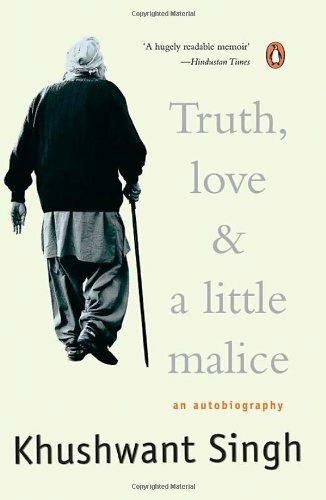 Prashant – Singh’s autobio sounds like my kind of book. I will look for it. As for Vonnegut, I enjoy his work, but haven’t read him in years. My first “real” job was in Manhattan and I occasionally saw Vonnegut in midtown. Tall, with bushy hair, he was hard to miss. Observing the unwritten code of New York, I never spoke to him, just left him alone to go about his own business. Elgin, I'd have loved to meet Vonnegut or at least listen to him speak, which I do on YouTube and elsewhere. I think he was a bit of a recluse and kept to himself. Almost like, "Okay, I wrote that book you liked so much. So what? Let's get on with our lives, shall we?" At least that's how I can picture him. Not as much to do with modesty as with wanting to live his life his way. I don't know if that makes sense. I'm in awe of your restraint when it comes to buying books Prashant. Can you send me some of it in time for 2019 please? Col, I don't hesitate to buy books that are either rare or hard to find in my neck of the woods. I want to try and reduce my existing collection before I add new books. How long that's going to take is anybody's guess. Great to see you back, Prashant! I'm envious of your book catch, and did not know of Timequake. I hope it's on Kindle! Great to have you back, Mathew! I'm not so envious because I haven't read any of the nonfiction, so basically I'm just hoarding for now. I was lucky to find the Vonnegut paperback at a pavement seller and it's almost brand new. Cost me about $2. I love reading the lists of people's book purchases, so thank you for sharing. And like the poster above, I would like to say how nice it is to have you back posting. It's a bird, it's a plane, it's a comics fan!